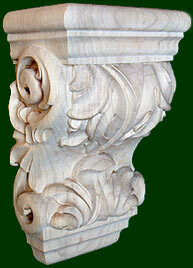 We have a large selection of wood carved corbels, hand carved and sanded to achieve the highest quality finish. 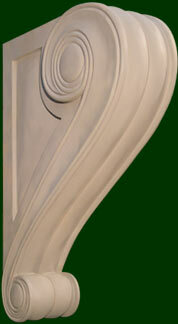 Corbels are used in a wide variety of woodworking projects, from kitchen and bathroom interior accents to kitchen cabinets and bathroom vanities. 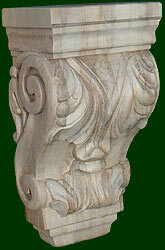 Corbels are also used in architectural applications, such as fire place mantels, mantel shelves, decorative structural applications and ornately carved adornments. 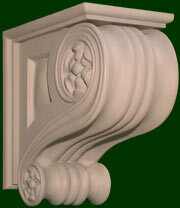 Corbels are also used in many interior design projects such as libraries, bars and high quality furniture.